Offering not less than 17 different LENSTAR®Plus , EcoLens® and other lens designs today, DPLenticular Ltd sells lenticular sheets and rolls in the following ranges: 75 LPI, 62 LPI, 60 LPI, 3D-100 LPI, 50 LPI-M, 40 LPI and 3D-50LPI lenticular sheets and 100 LPI , 150LPI and 310 LPI lenticular sheets and rolls (for narrow flexographic and web printing). 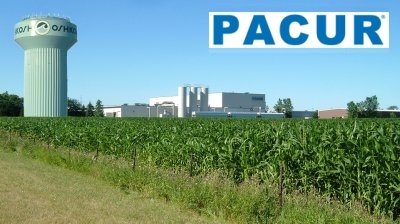 All the EcoLens® and LENSTAR®Plus products are extruded by Pacur in Oshkosh WI (USA). 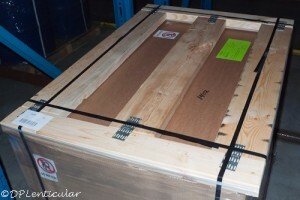 MicroFlex 310 LPI (lenticular rolls for label printing) and MicroLux (fly’s-eye lens array) are also produced in the USA. With our exclusive elliptical lens design we just introduced 75 Lpi Lenstar ‘Lite‘ – 406 microns ! The new evolution of thisn product is the NEW : 75 Lpi Lenstar® ‘eco’ extruded with 50 % recycled resin. All our LENSTAR®Plus and EcoLens® lenticular products, sheets and rolls, are produced with the highest quality resin and are in accordance with the EU regulations. We regularly perform new tests in relation with the new REACH rules. Click here for Regulatory Information. We designed a 3D 20 LPI UV-LF large format, also 3D 28 LPI UV-MF medium format and Motion 20 LPI UV-LF lenses that are extruded in Europe with a specific resin (called PETG-UV) allowing outdoor (even in the sun!) and indoor use. 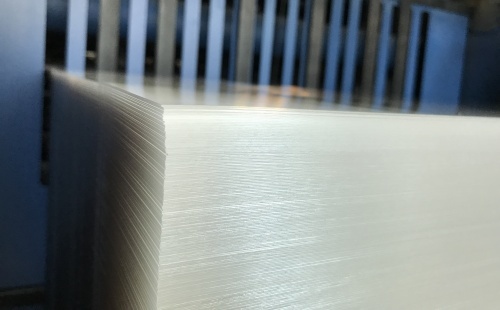 For details and questions about lenticular plastic sheets products, see our FAQ section by clicking here. All of our lenticular products are designed and manufactured so that printers can print the interlaced (and reversed) image directly onto the gloss surface of the lenticular sheet (backside). Our wide product range allows to produce many applications such as POP designs, packaging, direct mail, promotional and various card formats… from a postage stamp to large format advertising. As you can see in this table, we also propose 100 LPI, 150 LPI and even 310 LPI (MicroFlex) rolls for narrow web offset and flexo printing. 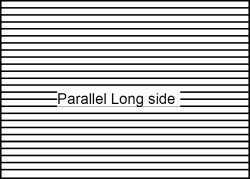 Each of the lens designs (excepted the large formats and the rolls) we propose can be delivered with the lenticules parallel to the short or the long edge. This has no influence on pricing. Please don’t forget to mention the lens direction when you order material. 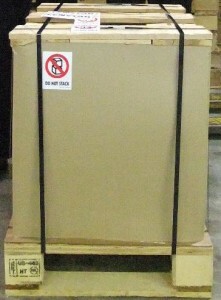 Lenticular plastic sheets are transported in containers from the factory to our warehouse. 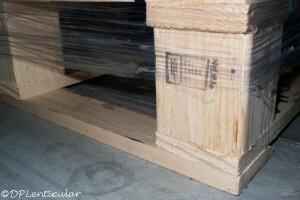 To prevent the lenticular sheets from being damaged, pallets are never stacked. Good Quality Control and stable production environment are very important in the lenticular business. Unlike some other manufacturers, the pitch of our lens material is always the same for an entire production batch. 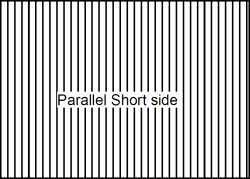 This is crucial for lenticular printers in order to obtain a stable and high quality result. Pacur and DP Lenticular are always working on new developments to improve the quality of the products and the final result of the printed piece. 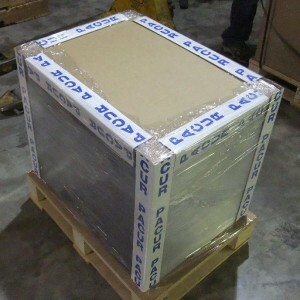 Packaging is also important as we want the material to arrive in good condition at the printer’s facility.